Weight loss! The topic is endless. There are a lot of questions revolving around this topic. There are many tricky questions that still lack proper answer. It is not just a plan, it is in fact a journey. So, here is one of the most commonly asked question: which is more important? 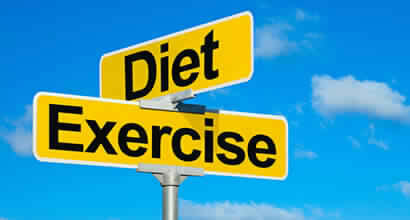 Is that exercise or dieting? When you dream of a perfect shape, you need both of these. For a well-toned body, you need either of these and not just one of these. There are a number of studies that claim that your food intake (your diet) is even more important than your workout routine. You should watch out each of the calorie intake you have including the beverages and other forms of drinks you have. When you plan to go for exercising without any kind of calorie restriction, just a few portion of your calorie intake will get burned. The first is the basal metabolic rate that involves your preliminary activities performed. Food break down which is also called as diet induced thermogenesis. It is also called as specific dynamic action. As far as the basal metabolic rate is concerned, about 60-80% of the body’s energy gets used up for this. For food digestion, just 10 percent of our energy gets used. Hence, the remaining of 10 to 30% is what gets reduced through physical activity. What forms of physical activity can be considered? Physical activity may be of any form including walking, running, exercising, etc. According to study reports, through physical activities, we can burn about 10 to 30 percent of the overall calories. For professionals, there is just about 5-15 percent calorie burning via exercise. Furthermore, exercise leads in appetite increase. Hence when you plan to lose weight, you ought to simultaneously have control over your diet. It does not by any way mean that you do not have to exercise. It is imperative to exercise so that your body feels flexible and strong. So, keep exercising and stay healthy and fit throughout.